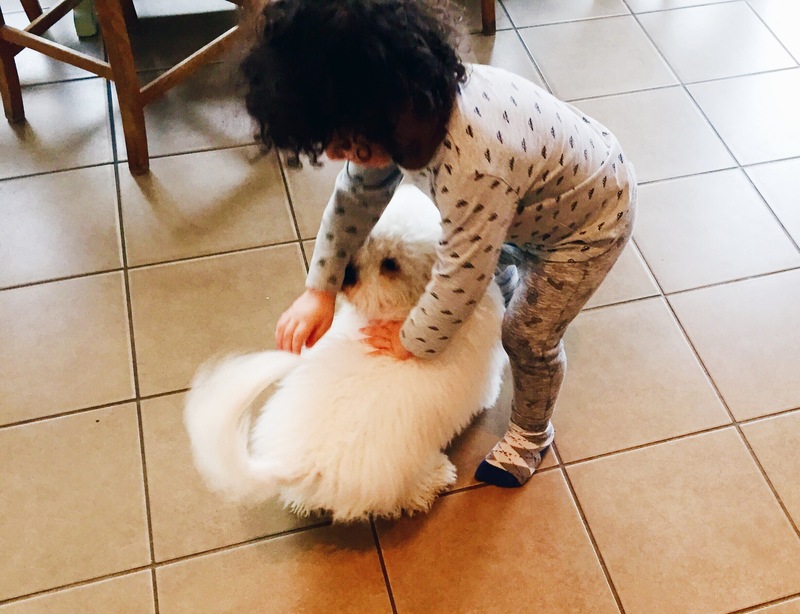 Just before Christmas a friend of mine got a new family pet, a Bichon Frisse dog called Arthur. As soon as they met, Omar and Arthur became great buddies. 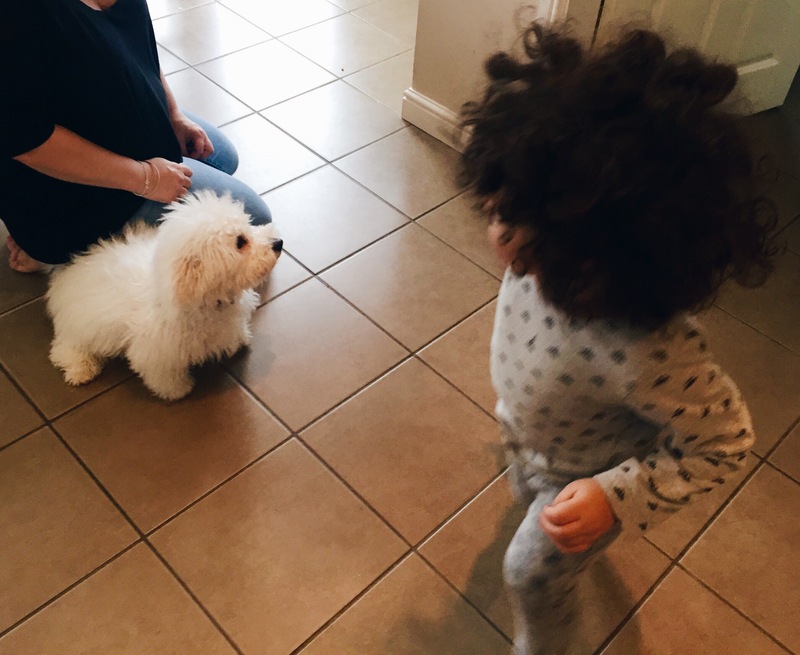 It’s the first time Omar has been this close to a dog and it was so cute to see how happy he was to meet Arthur! 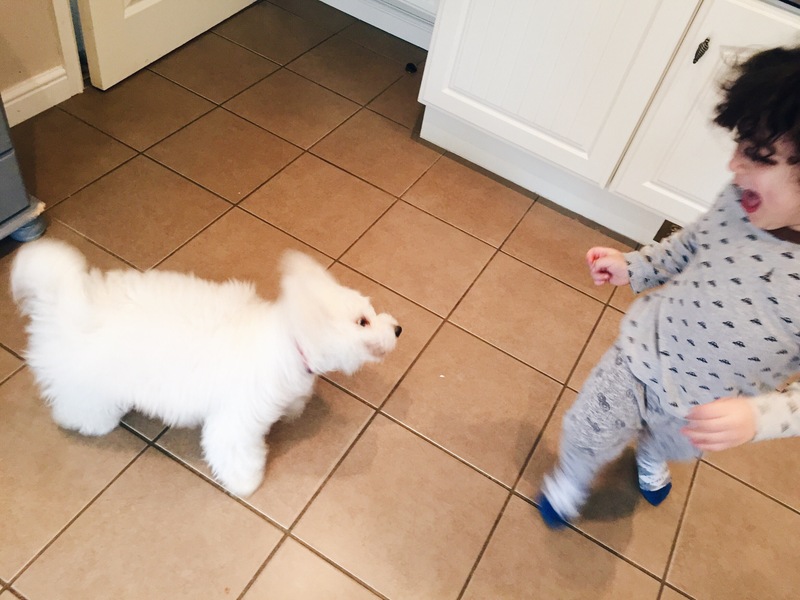 The photos aren’t great, I was taking them with my phone whilst holding Zaki, but I really wanted to capture how excited Omar was by Arthur the pup. 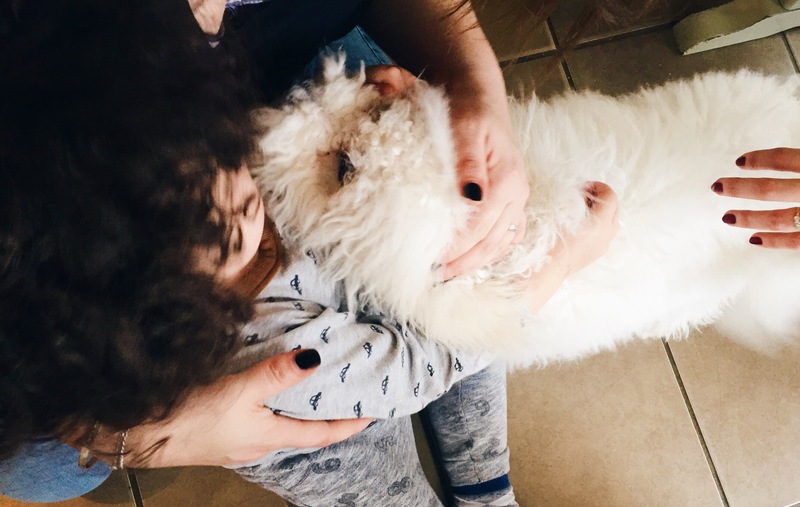 If you’re thinking of getting a dog, it seems Bichon Frisse’s are child-friendly. Arthur was just as happy to meet Omar as Omar was to meet him and I was never once worried that he was going to bite or nip him. If he can put up with Omar he can probably put up with anything. Aww he looks so happy to be playing with him. And it looks like a good nurturing dog for younger kids. I want a dog for my babygirl but not yet … She’s still too little I’ll wait till she’s a bit bigger so she can help take care of it as well.